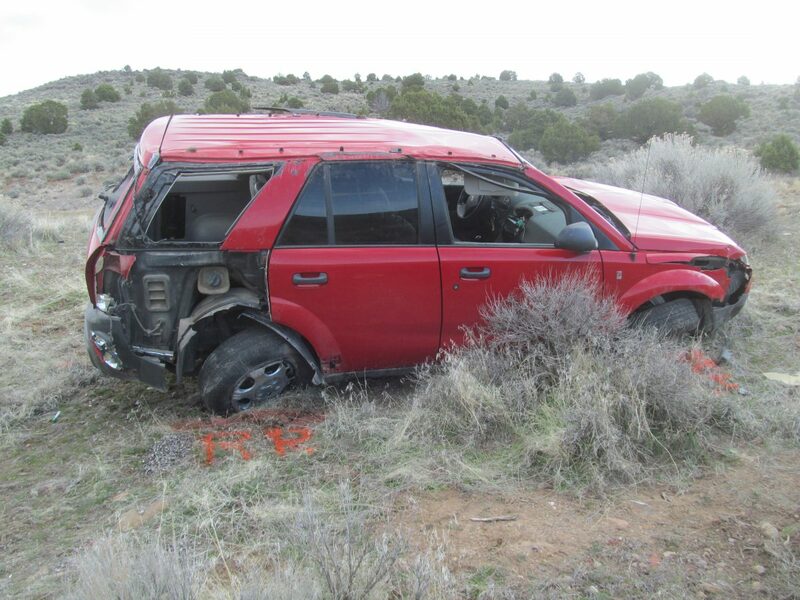 ST. GEORGE — An Enoch man was killed after being ejected in an early morning rollover on state Route 130 near Minersville Thursday. Utah Highway Patrol authorities said Donald Hubbard, 37, died as a result of the crash, according to a statement released Thursday afternoon by Sgt. Todd Royce, Public Information Officer for the Utah Highway Patrol. The crash occurred shortly before 6:30 a.m. on SR-130, a few miles south of Minersville, according to police. The preliminary investigation showed that Hubbard was traveling north in a red Saturn Vue and drifted off of the highway to the right. As he attempted to return the SUV to the roadway he overcorrected to the left, which caused the vehicle to start sliding out of control. The SUV slid sideways and then rolled three to four times until it came to rest in an upright position approximately 30 to 40 feet from the highway, the statement said. Royce said Hubbard was not wearing his seat belt at the time of the crash and was ejected from the vehicle. He was pronounced dead at the scene. Crashes on SR-130 can be dangerous because the highway is a straight stretch of road for miles, which can become monotonous, Royce said. In the early morning hours drivers can get caught off guard. “Not speaking specifically to this crash which is still under investigation, we find that long stretches of road can be as dangerous as curves,” he said. “Please, please, please wear your seat belt,” Royce said. Prayers for the friends and family of this man.